Indie Retro News: R-Squadron - Amiga game made in SEUCK you might not have heard of! R-Squadron - Amiga game made in SEUCK you might not have heard of! It wasn't too long ago now that HayesMaker did a great write up of the latest 30th Anniversary Special and Spanish Competition, which featured a number of C64 games that rightly deserved a place on our site. In fact in response to the write up, a twitter member by the name of @KEEZEES stepped forward and told us that he too had made a game using SEUCK, however this one wasn't using the C64 game creation software, but the Amiga version, with the game name of ' R-Squadron '. 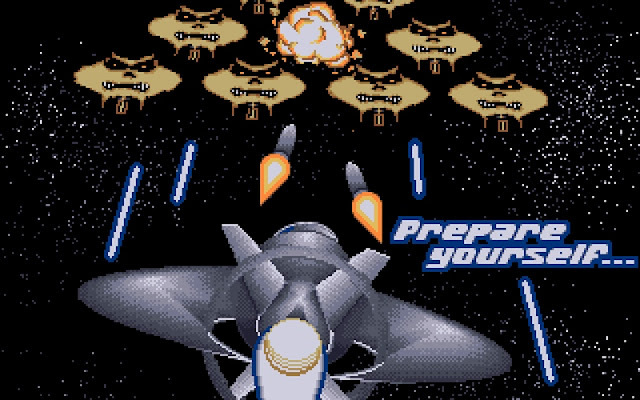 Made available as a free download and developed by Kevin McGrory, R-Squadron was originally created way back in the 90's as a top scrolling shooter that put you control of a small spaceship that had to avoid being wiped out from just about everything that appears on screen. 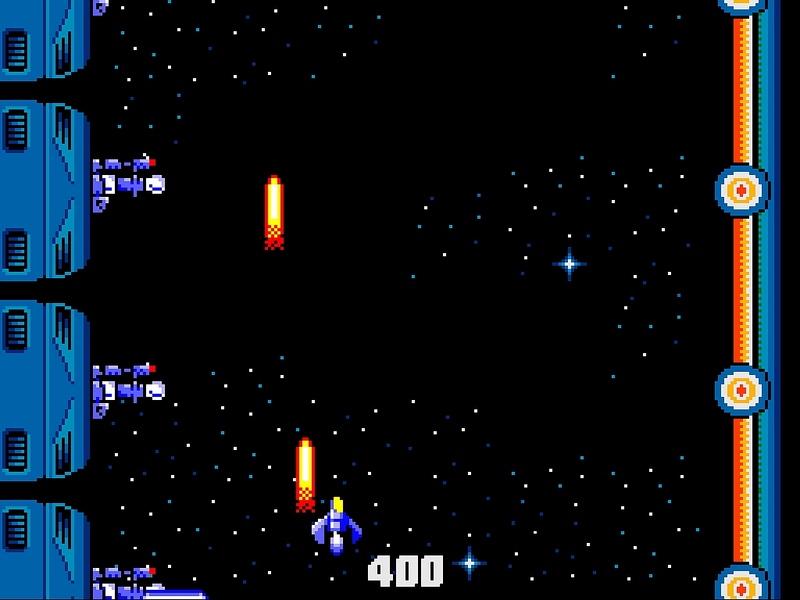 The game is not for those who prefer the simple life, as many of the enemies such as turrets and "Exterminate" voiced creatures are deadly and can be hard to avoid. Thankfully the game albeit challenging is still fun, and if you have an old Amiga monitor will look rather nice with a colourful vibrant game design!